At ENPICA, we are frequently asked during conference season if a particular activity or function is a good idea to implement at an event. Many of our clients are excited to bring something new and different to their students and we think that is a great idea! 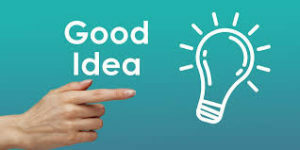 However…you may want to give us a call and run your idea by us first to discuss any potential risk and ensure this idea is covered by your policy. As Risk Management experts, ENPICA tries to help clients understand that risk management is the job of everyone associated with the organization. Each person, from the Director to the volunteers and students, should consider how his or her actions might affect the association. Sometimes, a seemingly simple decision or action can have a significant impact and it can be helpful to brainstorm the idea with someone who can see things from a different perspective. ENPICA can assist you with that process. If you are considering a new activity or program, or just want to discuss some great ideas to better engage your staff and students, call us. We are always happy to help and we love hearing about the great things you are doing to better serve your students. In the meantime, have a great conference! Having a Crisis Management Plan can help you plan for the unexpected. Most organizations are all too familiar with situations that can derail their efforts to provide an outstanding product or service. Are you prepared for such an event? Is everything in place to help you manage a crisis and protect not only the reputation of your organization, but also your events, board members, volunteers, and other stakeholders? If you are a student organization, are you and your students protected from unwanted mishaps? While a Crisis Management Plan cannot address every possible situation that can happen, it does provide a framework for ensuring you are doing your best to keep your organization and its people safe. There are a number of situations a Crisis Management Plan can address and for which your staff and board can be prepared. Does your organization know how to handle a major emergency such as an injury or accident? What about severe weather conditions or an outbreak of illness? With the increase in mass shootings and intruder threats, are you prepared to protect and handle such a crisis? With the right plan in place, you can definitely be closer to effectively managing these, and other, situations. Not only can a well-developed Crisis Management Plan help you prepare for the unexpected, it can also enable you to communicate the necessary information to the appropriate people at the right time. Ensuring that no one panics and that everyone receives the correct information is key to containing a crisis and handling it effectively and efficiently. Knowing in advance what everyone needs to do and when lends a spirit of stability and confidence to the situation. If you do not currently have a Crisis Management Plan in place, contact ENPICA today for information on how you can receive a customized plan to meet your need to protect and manage your staff, organization and events. 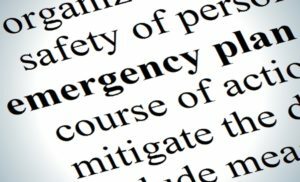 We have developed a comprehensive plan that includes important information on a variety of situations as well as vital forms that can help you manage a crisis effectively. Let us help you prepare for the unexpected!